The Supreme Court is seen today as the ultimate arbiter of the Constitution. Once the Court has spoken, it is the duty of the citizens and their elected officials to abide by its decisions. But the conception of the Supreme Court as the final interpreter of constitutional law took hold only relatively recently. Drawing on the pragmatic ideals characterized by Charles Sanders Peirce, John Dewey, Charles Sabel, and Richard Posner. Brian E. Butler shows how this conception is inherently problematic for a healthy democracy. 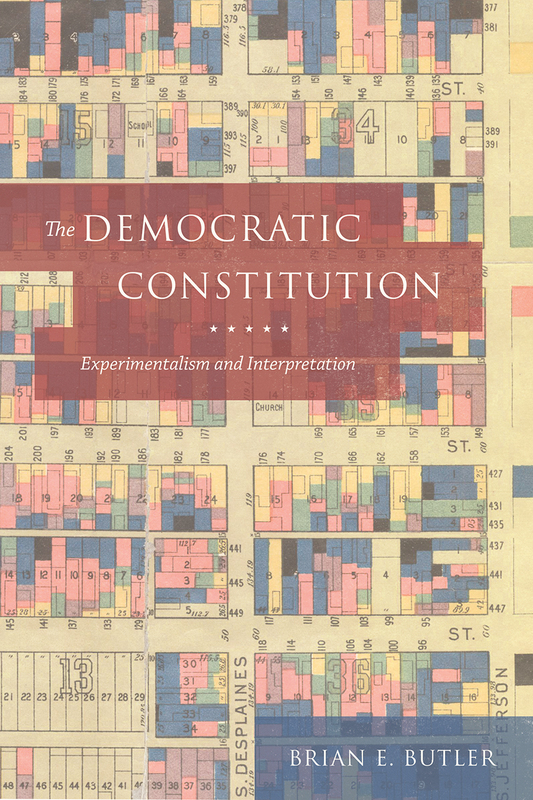 Butler offers an alternative democratic conception of constitutional law, “democratic experimentalism,” and applies it in a thorough reconstruction of Supreme Court cases across the centuries, such as Brown v. Board of Education, Citizens United v. Federal Election Commission, Lucas v. South Carolina Coastal Council, and Lochner v. New York. In contrast to the traditional tools and conceptions of legal analysis that see the law as a formally unique and separate type of practice, democratic experimentalism combines democratic aims and experimental practice. Butler also suggests other directions jurisprudential roles could take: for example, adjudication could be performed by primary stakeholders with better information. Ultimately, Butler argues persuasively for a move away from the current absolute centrality of courts toward a system of justice that emphasizes local rule and democratic choice. Chapter 7: Brown and Obergefell: Two Positive Precedents?